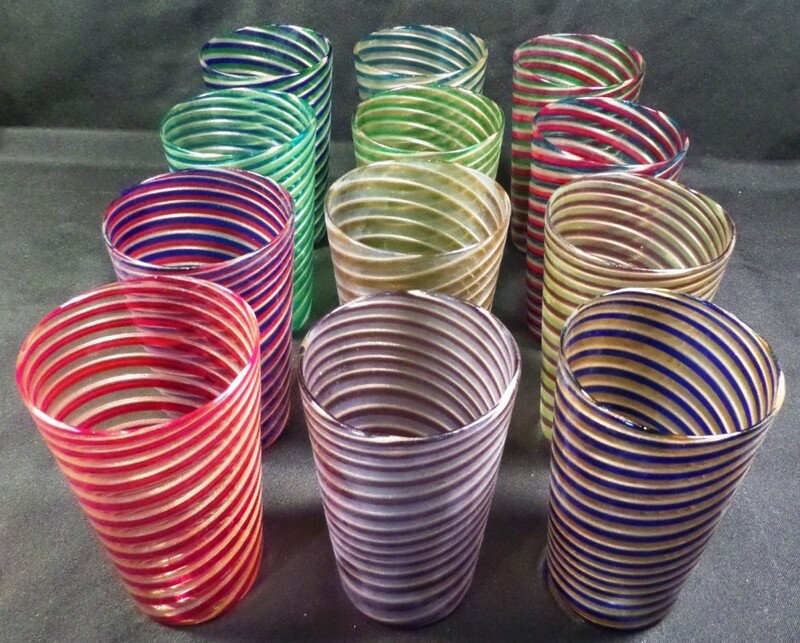 These glasses signed "Murano" on the bottom of each glass are a beautiful set to add to your collection. 5" tall, 3" across the opening, and 2.25" at the base. 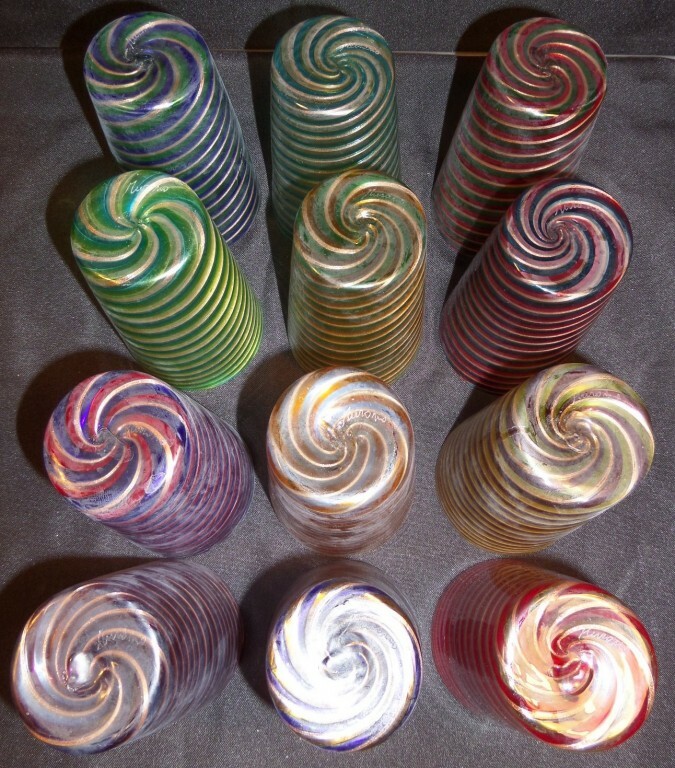 The multi-color swirl design is beautiful and unique. Please see all photos to see colors. 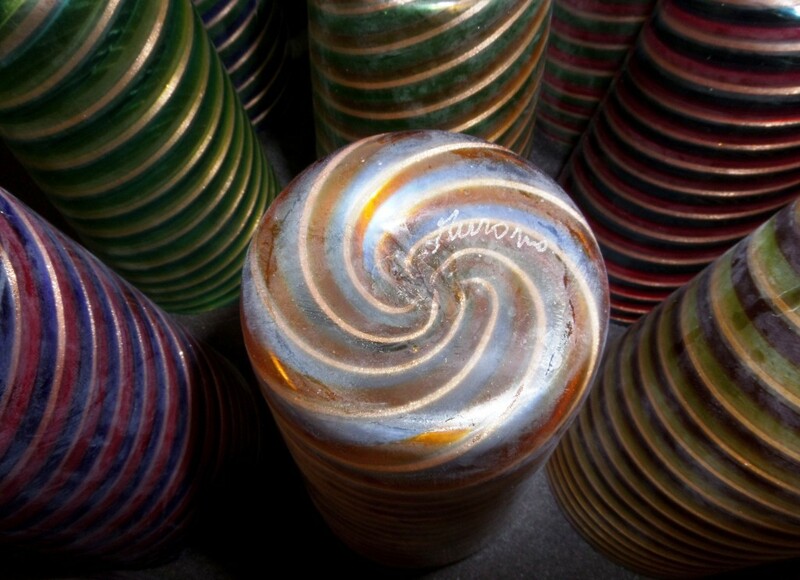 When people talk about Italian art glass, they are usually referring to the vases, paperweights, goblets, and decorative objects produced in the city of Venice and the adjacent island of Murano. 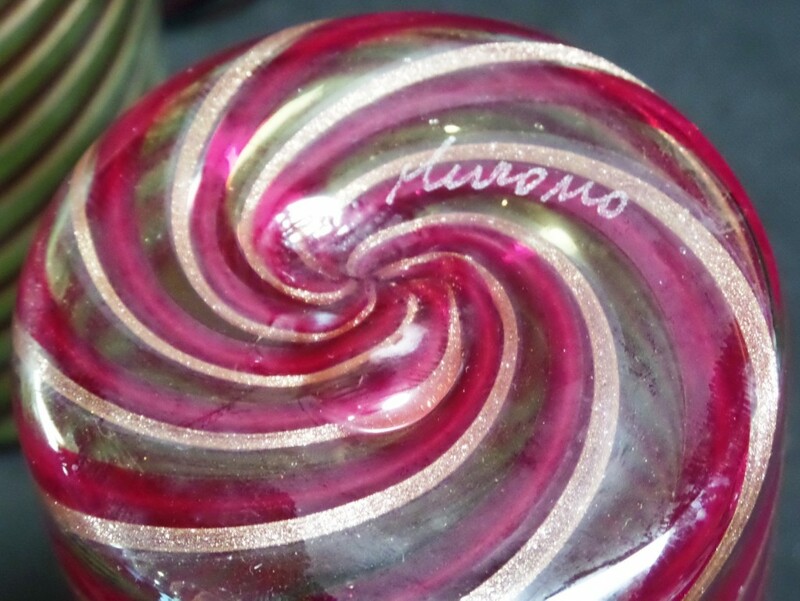 Murano is the heart of Italian glass-making, the place where, in the late 13th century, glass-makers were banished lest their furnaces catch the rest of Venice on fire. 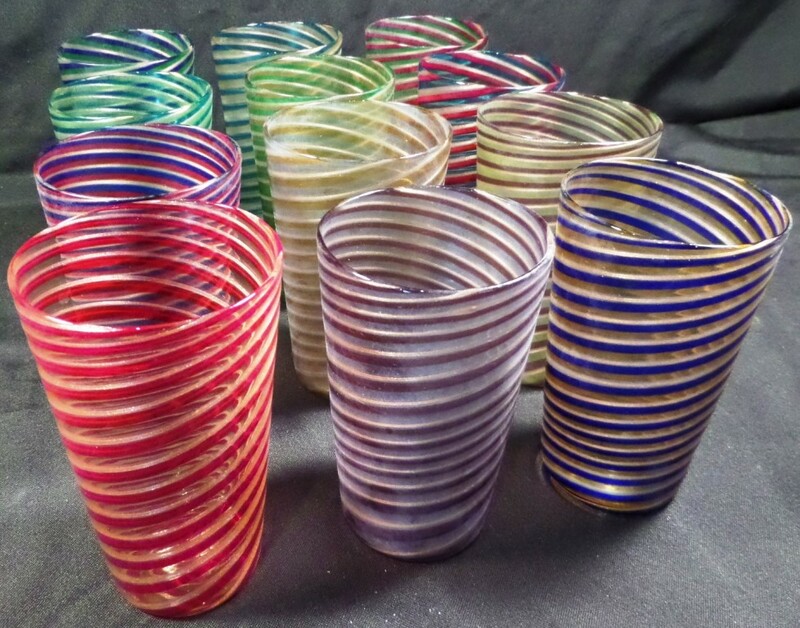 Even though the middle of the 19th century was a time of much innovation for Venetian and Murano artisans, the periods of interest to most collectors of antique and vintage Italian art glass are the years between the two world wars and the post-war decades of the 1950's and 1960's.